Tablet owners with no SIM slot provided must be at wrong impression that the increasingly popular Whatsapp app isnt compatible with their devices. Yes, you read it right. 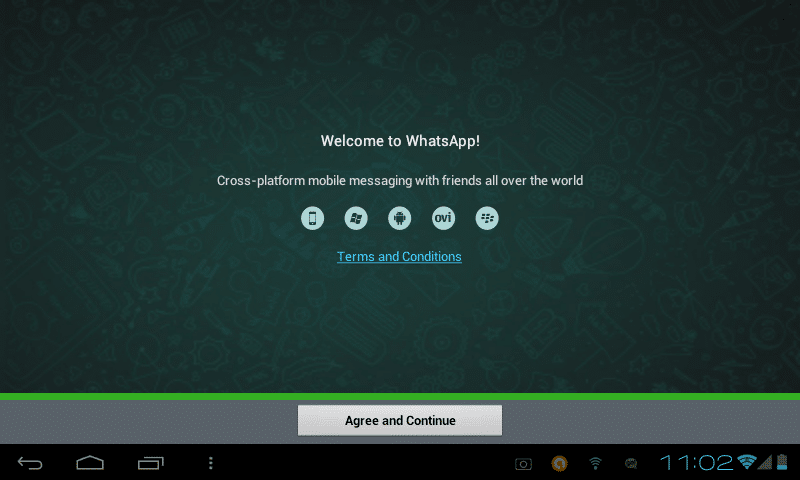 You can now install Whatsapp App in your tablet which has no SIM slot with ease. 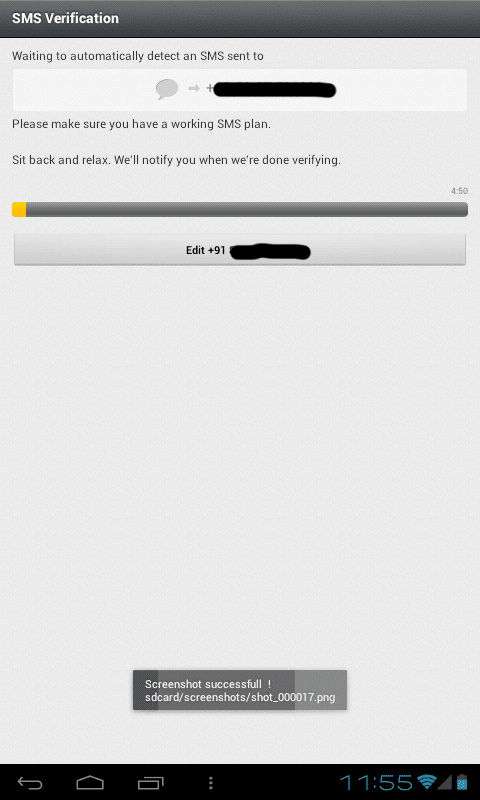 You may also download Whatsapp app from Google Play Store, but I suppose it may mention your device as non-compatible. You can always bypass this using Allwinner mod App available at Google Play Store and change your Device ID via this app making Google Play Store consider your Tablet as desired compatible Phone model. Here I see that you need to perform additional steps to download the apk setup file of Whatsapp and hence I will suggest you to download the file directly from their official website. It will attempt to verify twice. 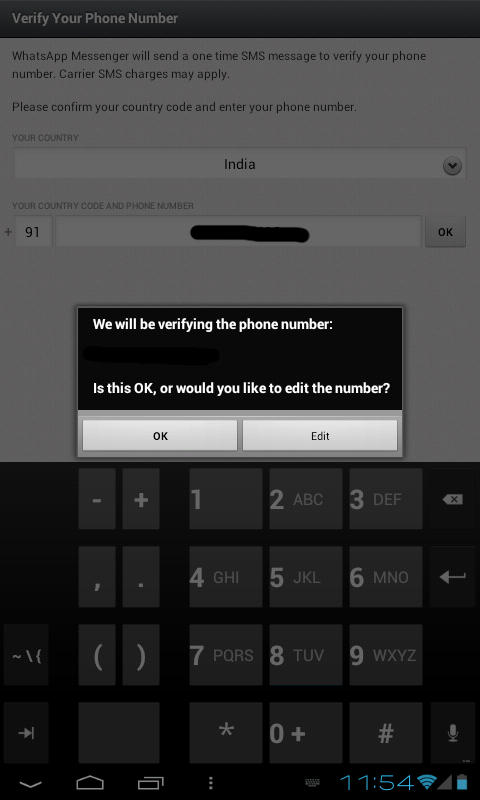 By this time, you should have get a verification code via SMS to your mobile number. 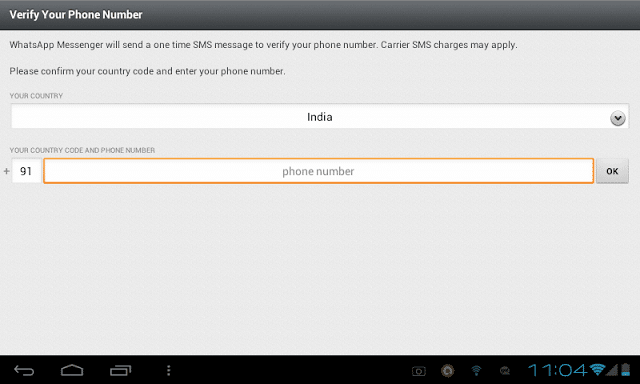 The auto SMS verification method will fail and you will see something like the below screenshot. Just enter the verification code which you received in your mobile via SMS in the code box shown below. Enter your Nickname and proceed. 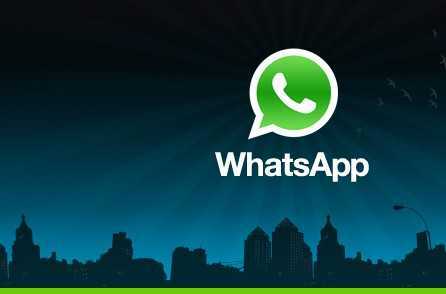 Now you will be taken to the chat screen window of Whatsapp. 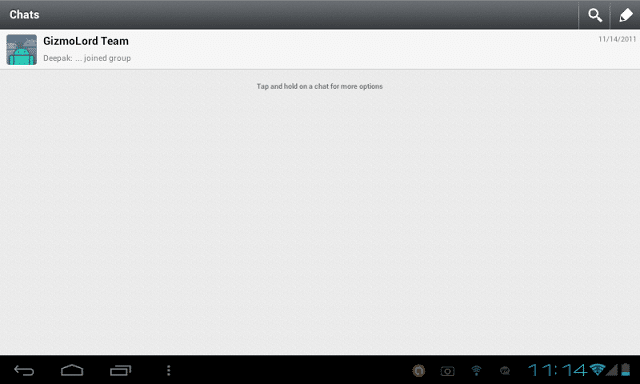 Enjoy the Official Whatsapp app in your Android Tablet. Have fun! 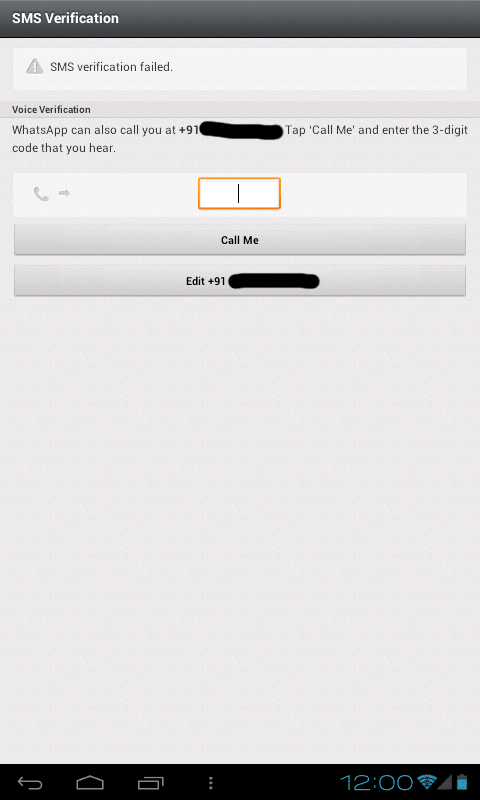 Hope you like the tutorial/demonstration to activate Whatsapp in your tablet using the most simplest method. If you have any doubts pertaining the same, do feel free to ask via comments below.